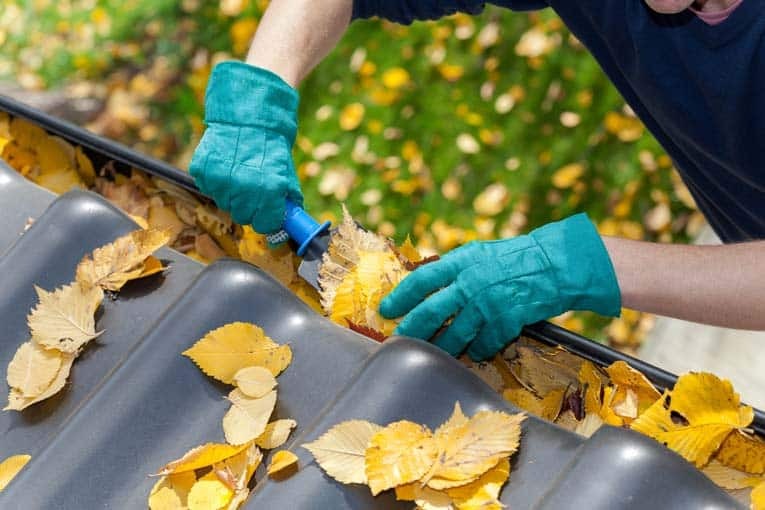 While most gutter installations are replacements for a failing system, the best time to install new gutters is when you are putting on a new roof. It’s not only easier but they also function better since they are installed as an integral part of the roofing system. Most of today’s gutters are made from vinyl, aluminum, or galvanized steel; stainless steel and copper, which are specially fabricated, are often chosen for high-end homes. These materials have largely replaced wood gutters—which used to be ubiquitous—because they are considerably lighter and not prone to the moisture-related problems common to wood. Gutter installation is a fairly simple DIY project, but professional installation is so affordable that it may not make the cost savings significant enough compared to your time and labor. For a reasonable fee, fabricators extrude so-called “coil” stock (most commonly finished aluminum) right on your property, forming seamless gutters that when installed are stable and leak-free. Conversely, do-it-yourself gutter systems are sectional, sold in 10- to 22-foot pieces made from vinyl, pre-painted steel or aluminum, or galvanized steel. You purchase the lengths you need and the components to join them such as elbows and connectors. 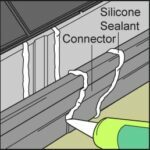 With some systems, silicone gaskets seal the connections; with other systems, the connections are sealed with PVC cement. Gutter profiles are named for the shape they form in cross section. Standard profiles are the “U” and “K,” or “ogee,” style. The diagonal length may be 4, 5, or 6 inches, chosen according to the size of your home. Downspouts are chosen to fit the channel size and come in rectangular—2-by-3-inch or 3-by-4-inch—profiles, or in round—3- or 4-inch—profiles. Downspouts are frequently corrugated for increased flexibility. Of course, the larger the gutter size, the less likely the system is to clog, but gutters still should be chosen to be in scale with the square area of the roof. The chart at right gives guidelines for choosing the correct size. The diameter refers to the diagonal length of the channel. Gutters attach along the roof’s eaves by means of straps, brackets, and hangers. Bracket hangers affixed to the fascia or rafter tails every 3 feet of gutter is the most secure option. However, if these support members are not exposed, a strap mounted beneath the shingles is the preferred alternative. Downspouts connect to the gutter system with elbows, which in turn are strapped to the house—three straps for every 10 feet. If you have decided to install your gutter system yourself, first assemble as many parts as you can on the ground alongside their final location. Glue the parts together with PVC cement if the system you have chosen does not have silicone gaskets, but do not glue the downspouts or you will not be able to remove them for unclogging. 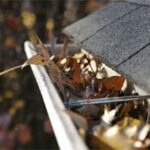 The slope of a gutter to the downspout should drop 1 inch for every 20 feet of run. To do this, place a nail at each end of the gutter run and tie a string between the nails. Check for level and then drop the string 1 inch every 20 feet. After aligning the gutter with the string, affix a hanger at the downspout end. Then, working up the slope, affix a hanger every 3 feet. Strap the downspout to the siding with screws for wood and expanding anchors for masonry. Use caulking compound to seal the straps.